I was shocked and saddened by the tragic death of an Italian calciatore (soccer player) last Saturday during a partita (match). At the age of 25, Piermario Morosini, a midfielder for Livorno, suffered a cardiac arrest and died on the campo (field). All thirteen partite that were to be held last weekend for both the Serie A and B were immediately cancelled. When I woke up this morning, I felt a little melancholy. I was thinking about my trip to Paris on Sunday. Once again, I�ll be away from Florence for 12 days. I miss my beloved city already and yet I�m still here. I want to see more, experience more, and enjoy more precious moments before I take off. When I go to Paris, I feel as if a part of me is left behind. Not a vital part, but one that I certainly notice is not with me when I�m in Paris. 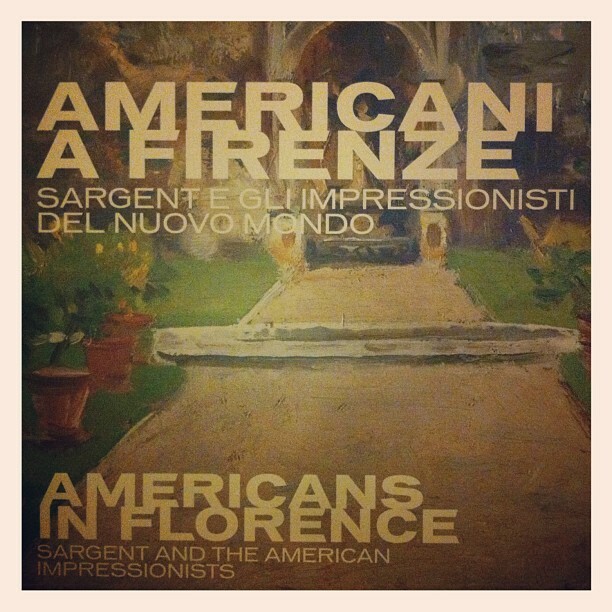 Ever since I saw the announcement about Palazzo Strozzi�s exhibit �Americani a Firenze,� I had been wanting to go. I love how the mostre (exhibits) at Palazzo Strozzi present many different aspects of my beloved city. The current mostra definitely intrigued me, not just because I�m an American in Florence, but because I too came to Florence the first time in 1997 to be inspired. I was looking forward to Pasqua (Easter) in Florence with my family last Sunday. I was hoping to see the scoppio del carro (explosion of the cart), but I ended up not going. At 10am right when I was about to leave the house, the rain began to fall. Not a light sprinkle, but a downpour. I was disappointed to miss such a special and unique event, but hopefully next year I can attend. Florence, Paris, and back again. Even I find my life a little difficult to follow. At least once a month, I leave my home to temporarily live (for 12 days) in Paris. Ever since I moved back to Florence in 2004, I rarely felt the need or desire to leave it. I�d usually go away maybe once or twice a year. It�s not that I don�t love to travel, but I love staying in my beloved city even more. When I leave Paris, I can see far into the distance from the airplane. It�s a rather flat city that seems to go on for kilometers in every direction. Today with a light haze between me and the ground, it looks as if Paris is behind a veil. I peered out the window, but couldn�t make out much of the city at all. Sometimes, I can see the Arc de Triomphe, the Seine, and the Eiffel Tower. Today, all I see are a few brownish patches of land, a river, and an accumulation of buildings, which I think is the city.